When you can’t decide how you want your chocolate, don’t. You can have it all! 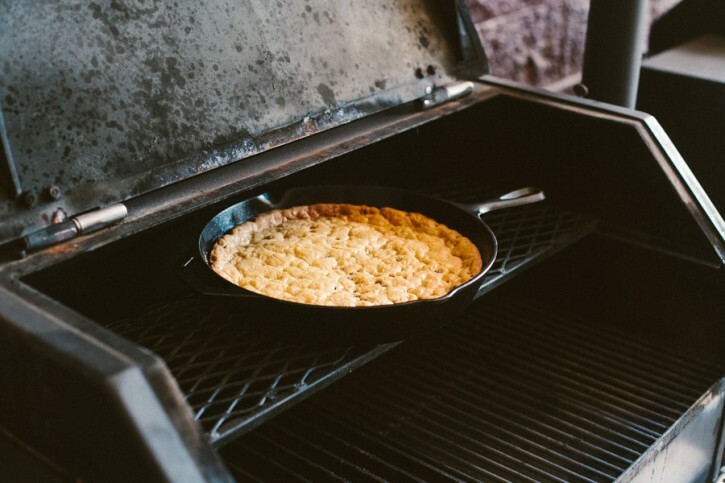 We’re throwing a party in a skillet and inviting chocolate chip cookies, pudding, brownies and more! 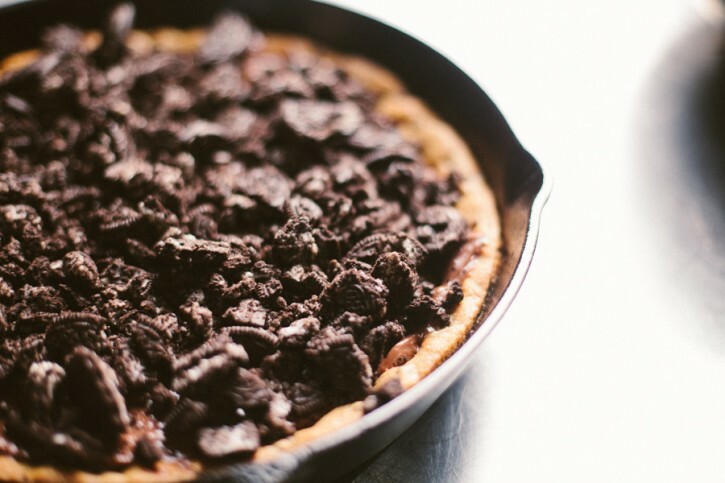 Our “pie crust” is made of chocolate chip cookie dough. 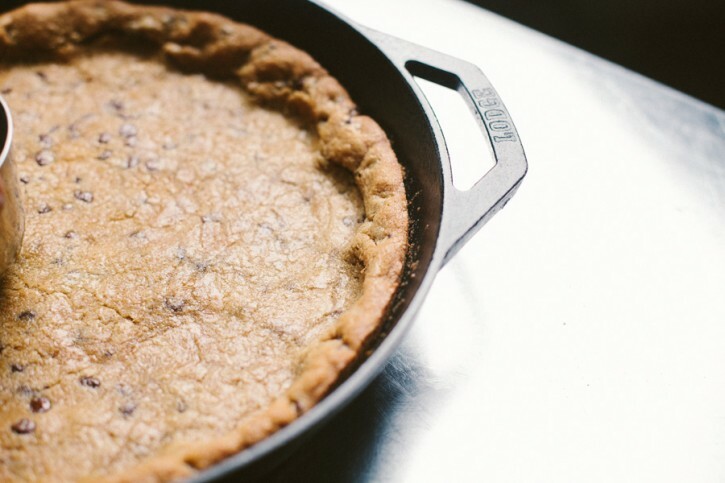 Compacting the cookie while still warm makes a for a more dense crust. Making your own whipped cream is a great way to get exactly what you want. Make it as sweet as you want. Add some vanilla or booze. It’s a great opportunity to explore flavors. 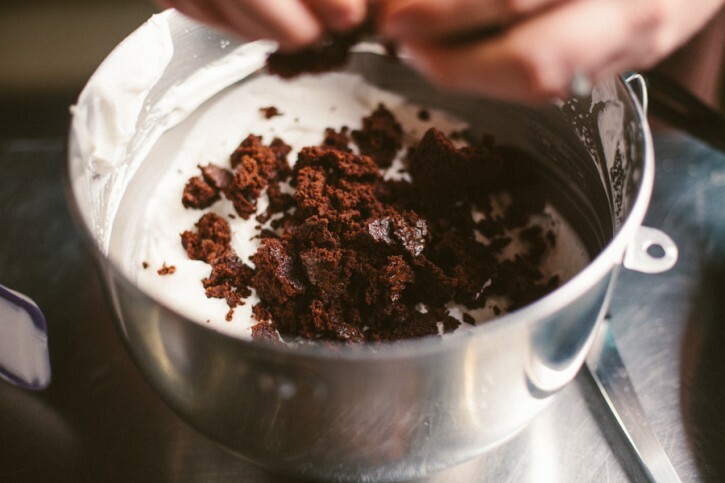 Tear the brownie to shreds and fold it in for brownie whipped cream. Preheat your Yoder Smokers YS640 to 350ºF, set up for indirect grilling. 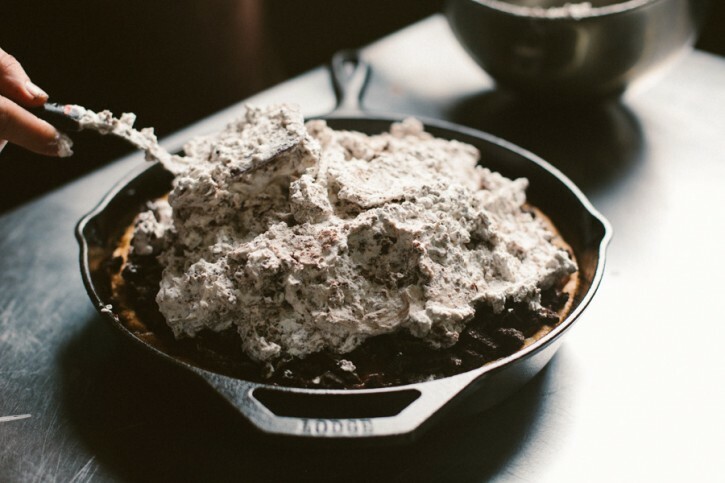 Press the cookie dough into a greased Lodge Logic 12” cast iron skillet. Place on the second shelf of the cooker and bake until a toothpick inserted in the center comes out clean, 20-30 minutes. 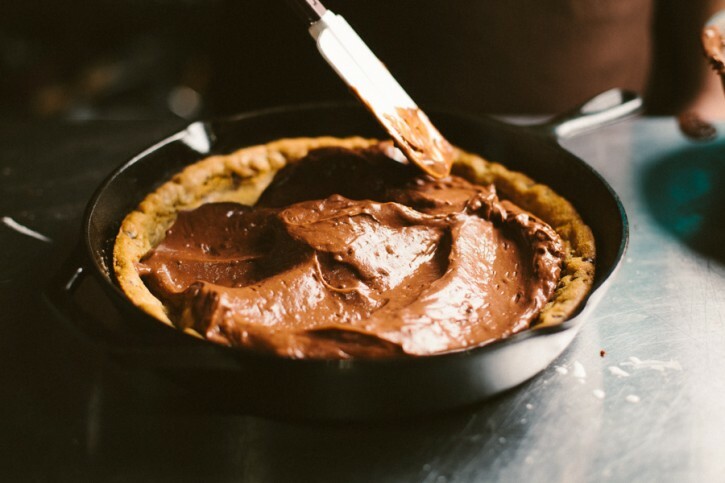 Remove and immediately take a measuring cup and press down the center to make a dense crust base that leaves a lip around the edges to hold the filling. Cool. 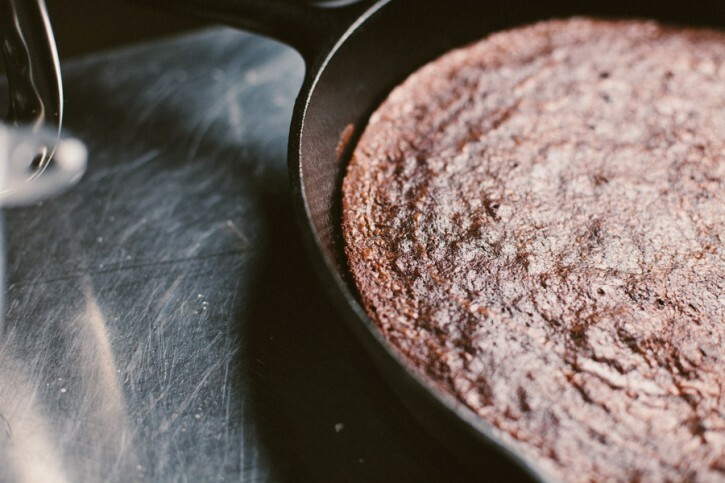 Mix the brownie ingredients in a bowl, then transfer to greased Lodge Logic 12” cast iron skillet (or other baking dish). Bake on the second shelf until a toothpick inserted into the center comes out clean, about 20 minutes. Remove and cool. Mix the pudding mixture and milk. Let sit 5 minutes. Pour over cooled cookie crust. Top with the crushed Oreos. To make the whipped cream, place the cream in a deep bowl. 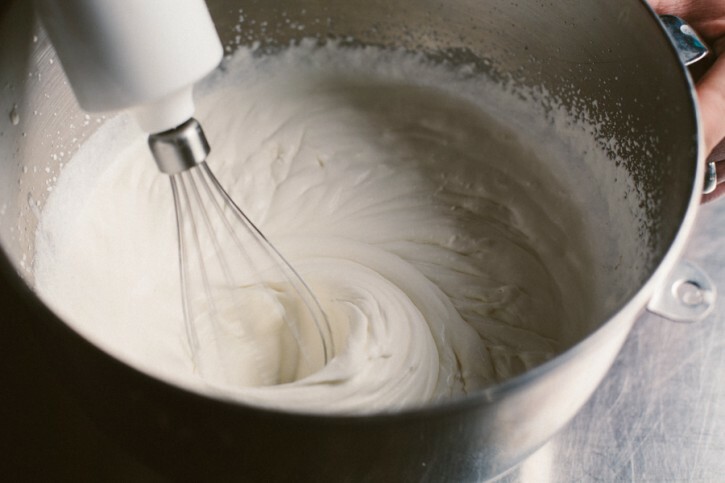 With a hand or stand mixer fitted with the whisk attachment, whisk the cream until thickened. Add the sugar and continue whisking until it reaches soft peaks. Add the bourbon and continue whisking to desired consistency. 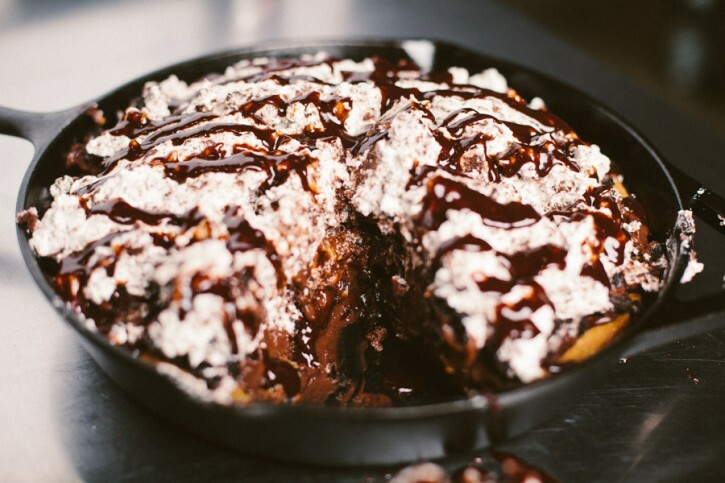 Crumble a handful of brownie into the whipped cream and fold together by hand with a spatula. Continue this process until there is about the same amount of whipped cream as there is brownie. Mound the mixture on top of the crumbled Oreos and pie filling. Refrigerate at least one hour, up to overnight, before slicing to serve.